The Somaliland Non State Actors Forum (SONSAF) fully supports the rights of Somaliland women and minority groups to participate in the national democratization process, multi-party elections and the national decision-making structures. Women took a significant and positive role in the different stages of the national reconstruction process, including the initial reconciliation and peace-building, rehabilitation and the most current democratisation stage. Women are not only the majority of the population but are widely acknowledged to be the glue that binds the social and economic configuration of the country. Women have also assumed a critical role in the progress of the national democratisation process. They constitute the majority of the voters, as well as, supporters of the political parties and associations, which has been critical in the establishment of the multi-party democratization programme in the last ten years. There is no doubt that women and minority groups have equal rights as other citizens, as well as, their own separate rights, as clearly depicted – both in meaning and spirit – in the following legal articles found in both the national laws and the international human rights instruments. These include, the Somaliland constitution articles 8 (1), 22 (1), 36 (1), (2) and other national laws; international instruments starting with the International Covenant on Civil and Political Rights (ICCPR) articles 25, 26, 27; the International Covenant on Economic, Social and Cultural Rights (ICESCR) article 3; and the Convention on the Elimination of All Forms of Discrimination against Women (CEDAW) article 7. It is also widely known that the President has set up a National Consultative Committee composed of members of the main national institutions to advise him on how women and minority groups can be mainstreamed within the decision making legislative bodies of the country. After nationwide consultations with all sectors of the Somaliland society that included traditional elders, religious leaders, youth, civil society organizations, law experts and community leaders in all the regions of the country, the Committee recommended that a reasonable quota of seats should be set aside for women and the minority groups in all the national decision-making institutions. Taking note of the Committee’s recommendation, the President passed on the draft Act of women and Minority group quota to the House of Representatives and urged them to take action. However, the members of the House of Representatives have voted the Act out of their Agenda without even considering it for debate. Due to this negative move, women and the minority groups find themselves out in the cold and it seems most likely that they will not get any seats in the upcoming local council elections. Furthermore, the political parties and associations that are competing for the upcoming local council elections do not appear to be willing to field any significant number of women and Minority group candidates except for the token few. This is due to the fact that the current local council election is marked by unusually strong clan influences whereby candidates are selected by the clans or sub-clans rather than the Political Parties or Associations. 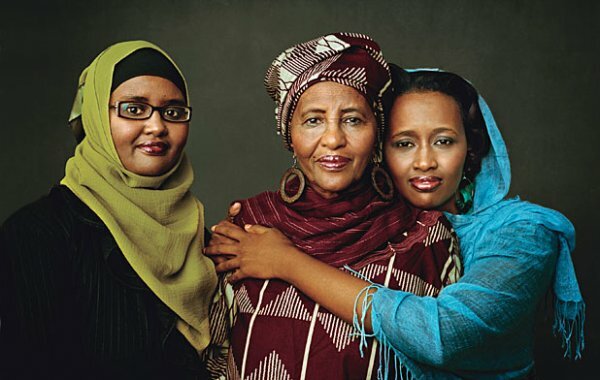 Thus women political aspirants generally slip through the faults in between the two clan she belongs to – that is her father’s and her husband’s clans. She is always confronted with the check-point question that says that there no one from your clan who will vote for you. Due to the above mentioned barriers women and minority group members are denied representation in the national decision-making institutions. It is also unlikely that they will get their legitimate representation any time soon in the current socio-political context. Therefore, the Somaliland Non State Actors Forum (SONSAF) puts forward the following call and recommendations that are addressed to the President of Somaliland, the national law making institutions, the Somaliland public, women in general, the Minority groups and the international partners that support Somaliland’s democratisation and multi-party elections. ”1- We urge the President of Somaliland to follow up on the draft quota for women and the Minority groups, which was sent to the House of Representatives in order to identify the impediments facing it and ensure its passage. 2- We call on the national law making institutions to review the national laws and support the women and Minority group agenda and cause. At the minimum, to open a legal debate on the issue and explore possible solutions instead of rejecting it categorically. There are many legal pathways that can be deployed to support the legitimate rights of the women and Minority groups, if the meaning, intentions and the spirit of the national laws are genuinely and justly interpreted. But the debate should be opened first. 3- We urge the Somaliland public to provide full support for the achievement of women and minority group rights for national representation. Women in particular are the majority of our population, whose vote drives the multi-party political system without granting them their due rights for representation. 4- We advise women and the Minority groups to mobilize their members; pool their collective effort and take advantage of their voting numbers. Women in particular should demonstrate their collective power in the society. 5- Finally, we urge the international community that supports Somaliland’s democratization process and multi-party elections to give due consideration to the political representation agenda of women and the Minority groups and put pressure on the relevant national institutions that are responsible for taking action on the issue.